Refilwe Mthimunye (23), the first runner-up of Miss South Africa 2015, has been selected to represent South Africa at the 2015 Miss Universe Pageant on December 20 in Las Vegas, Nevada. As the reigning Miss SA, Liesl Laurie, will be in Sanya to represent South Africa at Miss World 2015, won by her fellow countrywoman Rolene Strauss last year, Laurie will be unable to compete for the Miss Universe title. 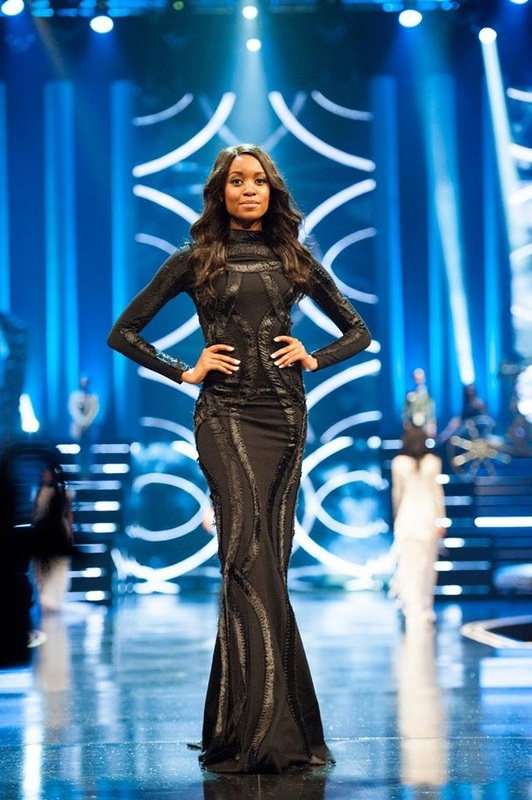 Sun International, organizers of Miss SA, has gone the traditional route and selected the first runner-up to compete. Mthimunye shared her excitement on her Instagram account. She was my favorite to win Miss SA last year. I like her a lot. The look in the first photo (black dress) is perfect for her. They should go that way... the hair, the gown, the makeup...everything. She isn't so pretty. Will clap just like Zipho did last year.